If you live in Colorado and you don’t know what Snooze is, you most likely live under a rock. Please remove yourself and head into Denver, Boulder or Fort Collins ASAP. And good news for you Californians… they’re opening a San Diego location soon. Rejoice! All I need is unique pancake flavors and the option of picking three different flavors to eat in one meal for my life to be complete. Consider it officially complete. And in case you’re doubting my enthusiasm for Snooze, you should know Joey just told me to “stop typing so fast, you’re scaring me.” I’m all fired up. If you’ll recall, I’ve been to the Snooze in Denver before, but the Boulder location recently opened and it was about time I tried it. Everything. Okay, just kidding, it’s not fair to say that since I only tried my dish, but a flight of pancakes may be the best idea ever. Especially if it means I can have a pineapple upside down pancake, a sweet potato pancake and blue corn pancake on one plate. Butter. Cinnamon butter, ginger butter and pinon butter to be exact. The decor. The table we sat at was too cute — the whole restaurant has a whole 1950’s feel and what could be better than listening to Itsy Bitsy Teeny Weenie Yellow Polka Dot Bikini while diving head first into eating a plate of pancakes. Quality. Everything is homemade and they strive to use natural, farm-raised, free range ingredients, plus as many local items at possible. It’s not just pancakes. 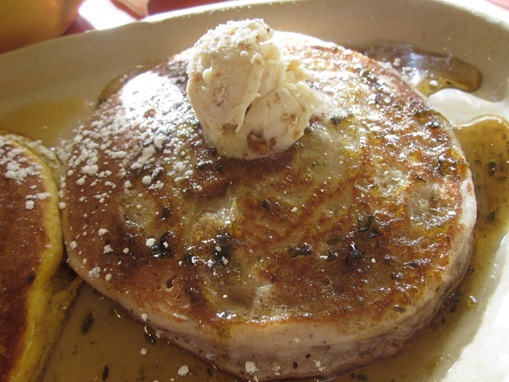 Corned beef hash, heuvos rancheros, peaches ‘n cream French toast and even a brunch menu! 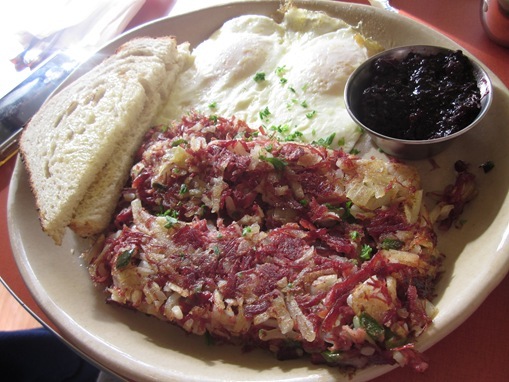 My mom, the corned beef connisuer, claimed her hash was really good. Her cleared plate had me convinced. They can do gluten-free pancakes too! The pancake menu changes throughout the year. The quinoa and corn pancake topped with pumpkin sauce, candied pumpkin seeds and maple syrup that I had last October was un-be-lievable. Umm, this is going to be hard. This place is BUSY. If you go on the weekend, be prepared to wait a while. Like two hours. Believe me, I’ve seen it firsthand. Twice. My sister didn’t think her huevos were as hot as they should have been. But they sure looked nice. In other words, I love Snooze. Caramelized pineapple chunks with house made vanilla crème anglaise and cinnamon butter. 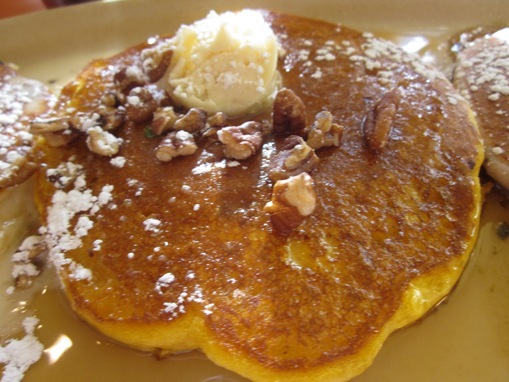 Sweet potato buttermilk pancakes topped with homemade caramel, pecans and ginger butter. Blue corn and buttermilk pancakes made with fresh summer corn and topped with pinon butter and chili-spiced maple syrup. Behind last year’s pumpkin pancake, the sweet potato takes the pancake. 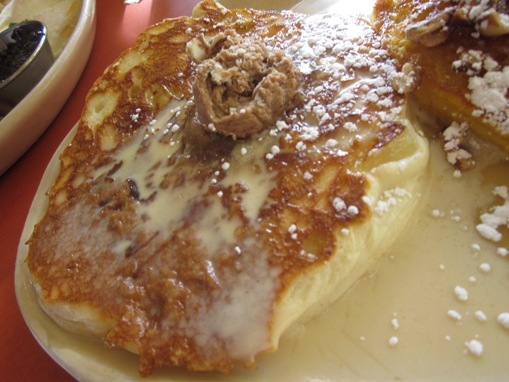 What pancake flavor would you like to see on a menu? What’s the best pancake you’ve ever had? 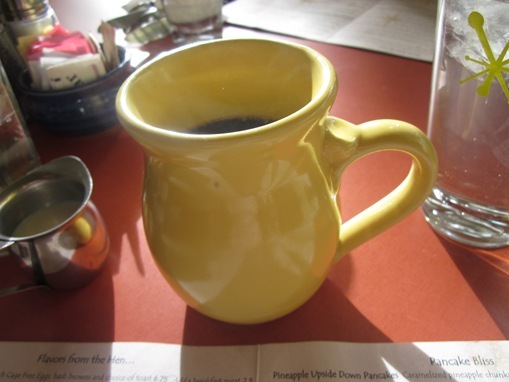 What’s your favorite breakfast restaurant? I want some of those peancakes SO BAD!!!! pancakes are some of my favorites! IHOP is my favorite breakfast place (though we don’t really go out for breakfast at all). Laurrrreennnnnnn, I want to go here! Next time I come to Denver, we are going here for sure! I’ve always said how cool it would be to get one of multiple types of cakes in one meal. This is pure genius. I’m a little jealous right now. Oh my god, I’m so down with that plan!!! Mmm I want a sweet potato pancake! …and I won’t lie, just seeing the word Boulder brings tears to my eyes. Hubbs and I want to live there so badly! I hope you get to live there one day. I.LOVE.BOULDER. I really want the blueberry one, and the chili spiced maple syrup sounds like the way to my heart!! I’m all about anything sweet and spicy. Oh wow. That looks simply amazing! I wonder if there’s a pancake place in this city? I miss pancakes, I can’t really make them here. I love just the classic pancakes my mom makes from scratch. Usually we add bananas or apples into the batter…always so yummyyyy. Oooo those look yummy! I never really order pancakes, so the best ones I’ve had were banana nut ones at IHOP many years ago. That’s actually the flavor I’d want on any menu though, so I guess it makes since that I loved them. I’ve been wanting pancakes for weeks and had them on Saturday. Thought they were out of my system. Your photos make me want them again!! 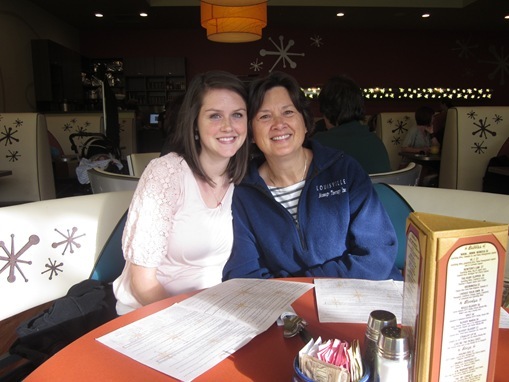 We have a little lace in the little town that I live in named The Berry Patch and they serve strawberry beignets……….yum! Omg, you KNOW pancakes make ME happy!! And a flight of pancakes?! BRILLIANT! 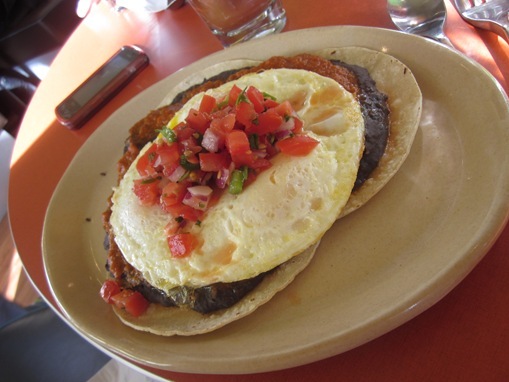 You totally have my mouth watering over the description of the quinoa and corn pancake…mmm! Best pancake I’ve ever had: Ugh, I don’t think I can choose just one! My s’mores pancakes are probably my recent favorite! 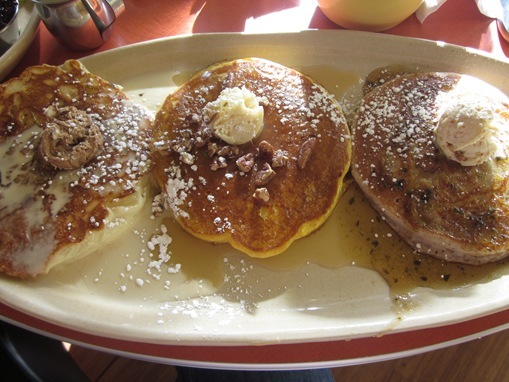 Best breakfast restaurant: Flapjacks in East Tennessee (near Gatlinburg). It’s got the whole “country vibe” thing going…wooden bench booths and they serve your drinks in mason jars! I love it!